It’s Friday night and I’m tired and uninspired. It must be the fatigue from my return to work but my brain has adamantly refused to be creative this week. So, in order to shake off the cobwebs, I’m going to pull out an old blogging standard and answer some questions. 1) What is your favourite physical attribute? My smile. I always try to keep it genuine. 2) What is your favourite aspect of your personality? My humour. It has gotten me through some pretty rough patches. 3) What is the strangest lie you have ever told? When I was leaving the closing ceremonies of the 2000 Olympics in Sydney, Australia, I convinced a train car full of people that I was the short stop for the Canadian softball team. (I happened to be wearing my Team Canada sweatshirt.) Everyone assured me that our 8th place finish wasn’t too bad. 4) If you could be a superhero, what power would you possess? Super-speed. I would love to be able to zip around and get things done really quickly while everyone else puttered along at a normal pace. Then I could just sit back and chill. 5) On a scale of 1 to 10, how weird are you? 6. How do you feel about garden gnomes? I used to be agnostic. 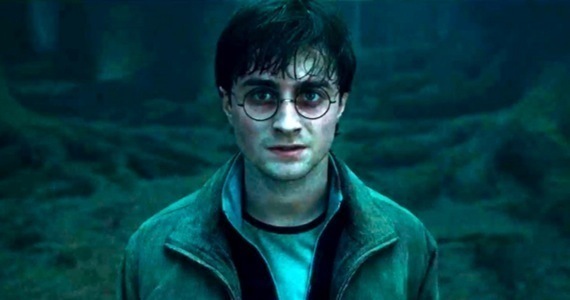 Since Harry Potter, I never turn my back on them. 7) What time is it? 8) Who is your current celebrity crush? Richard Armitage. He’s a great Thorin Oakenshield, but I originally fell head over heels in love with him (sans facial prosthetics) as John Thornton in BBC’s adaptation of North and South. 9. Would you rather live in the fictional future or the fictional past? As much as I love sci-if, I have to pick the past. I think my bosom was made for a corset. 10) What aspect of your personality do you hide from others? I’m a huge romantic and love getting swept away by Jane Austin and BBC period dramas. See questions 8 and 9! 11) Are you ever going to finish writing your novel? Do you have any questions you would like to ask… or answer? 1) Zip cord – Invented on a rainy day, a string is tied from an upstairs baluster to a piece of furniture in the living room below. Every possible toy imaginable is then slid down the rope. Scores are awarded based on speed of slide and distance travelled. 2) Baby Koala – One of my least favourite because it involves ET crawling around whining like a baby… or baby koala, I guess. CJ takes care of him and supplies the eucalyptus leaves. 3) Hug Match – Wrestling, but given a cute/sly name so that Mommy won’t get angry when they break something. 4) Yeti! Yeti! Yeti! – A throwback to the annoying Pablo the Yeti character from the Backyardigans. My boys’ game has nothing to do with the Backyardigans except for the loud and grating call of “Yeti! Yeti! Yeti!” that CJ makes as he crawls around the floor chasing ET while covered in a blanket. The game always ends when my last nerve is frazzled and I order them outside… NOW! 5) Spy – Self-explanatory, I think. The beauty of this game is that it is inherently quiet and can be played in any venue. Indoors and outdoors, at home or at the grandparent’s… even once in church! 6) Slinky Kitty – This might sound a bit like an adult bedroom game but it’s much more innocent in our home. ET stands upstairs and drops poor Kitty wrapped in the end of a slinky. CJ is down below and tries to grab Kitty before he springs back up. 7) Wipeout – Similar to the TV show but a winter sport played around obstacles involving telephone poles, shovels and snow banks. 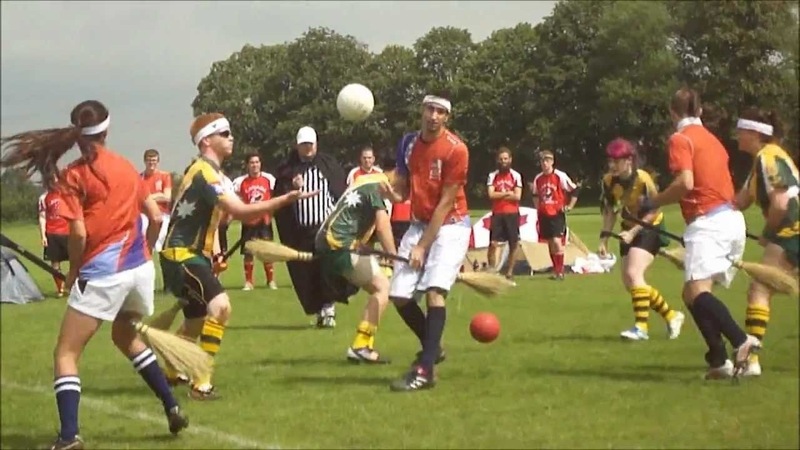 8) Quidditch – Just like J.K Rowling’s version but played in our backyard while riding hockey sticks in lieu of brooms… oh, and goals are scored in garbage pails. 9) Minecraft – Yes, I know everyone’s kids play Minecraft but mine play it outside without a computer. From what I have observed, the game is rooted around BDN’s son being a villager who makes an unacceptable barter trade. Of course, this leads to the arrival of an angry horde and chaos ensues. 10) Catch – A pretty standard game of catch but my boys stand only a few feet away and toss gently underhand. Apparently, they are aiming for a world record number of catches rather than an impressive degree of difficulty. 11) Queen Elizabeth – It is played outside with the whole gang of neighbourhood boys and CJ always plays the part of Queen Elizabeth. I have absolutely no understanding of this game. I’m not sure what this list conveys about my children… I just wanted to share some of the craziness! Do you have a favourite invented game from your family or your own childhood? I have a pretty significant bruise where I sprained my ankle. It’s gotten a few oohs and aahs around the office, and that’s saying something, seeing that I work in a hospital. When I get into a book it can be hard to get me out of it. I will often be found reading while brushing my teeth, getting dressed or making dinner. I think that is why I have come to love my e-reader so much. It’s no-hands reading. I have even been known to upsize the font and prop it on a treadmill during a run. I’ve now added audio books into the mix so that I can “read” while completing menial chores such as grocery shopping and washing dishes. It’s also a really great way to drown out the din of our house when my brain needs some space.